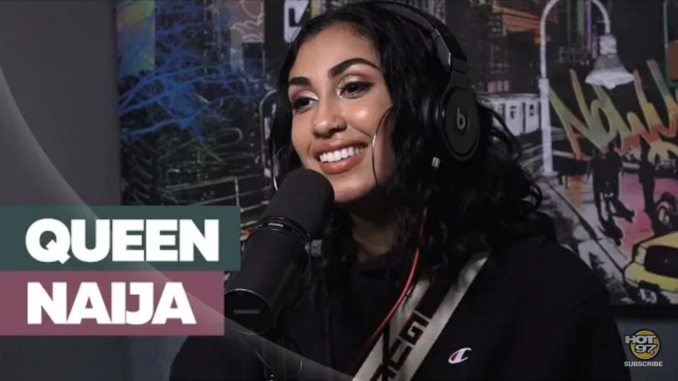 Queen Naija sat down with Ebro to discuss her rise to fame from being #RelationshipGoals memes on Instagram to YouTube and now, a music career. Not yet knowing how to parlay IG likes into money, Queen says she and her husband were flat broke. She’dShe’d lost her job as a security guard and decided to vlog as a means of income. Her fans followed from IG and so did Chris’s side chicks, says Queen. Queen discussed her divorce from her former YouTube co-star and ex-husband Chris Sails, who she says still continued to cheat after his major cheating scandal. Once he was blasted by his sidechick and her friends, more women came forward. Queen says they were able to move past this after Chris showed he was really sorry. She also dished on Clarence, his relationship with her son CJ,and coparenting with Chris.